Can you quit using drugs without rehab? It may not seem like such a relevant question, but it’s one pondered by thousands of people every day. You could spend hours researching all the different approaches, therapies, and techniques available at rehabs of differing length and locations, trying to determine which has the highest success rate. The truth is that success rates are somewhat misleading, because what works for one person or a hundred people may not work for you, and vice versa. The best recovery plan is the one that works, and that may or may not include rehab. It’s a personal decision you must make to determine what you need to achieve and maintain sobriety. Why Do Professionals Insist That Rehab Is Necessary? Rehab is an establishment favorite for several important benefits it provides. As in most systems, controlled environments, structured schedules, and research-based operations are favored over Do-It-Yourself strategies. 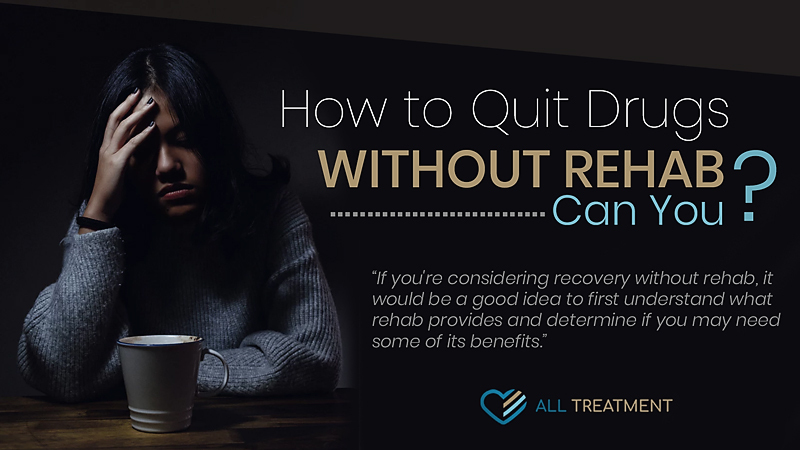 If you’re considering recovery without rehab, it would be a good idea to first understand what rehab provides and determine if you may need some of its benefits. It is important to note that every rehab is unique in its own ways and not every program offers the same therapies, educational classes, or approaches. And whether it be inpatient residential, partial hospitalization, or outpatient, the National Institute on Drug Abuse (NIDA) agrees that no single treatment is appropriate for everyone and that treatment must meet the needs of the individual. Some Parts of Rehab May Be Helpful. If you’re pondering whether or not you need rehab, also consider the fact that not all rehab is a residential 12-step program. Rehab is not an all-or-nothing proposition, and you can use it in as many different forms as you need it. For example, if you feel you only need individual counseling, a plethora of counselors specializing in addiction treatment are available to schedule counseling sessions. The same is true for group or family counseling, addiction education, life-skills building, and behavioral therapies. One of the main reasons why professionals insist upon some form of rehab is the notion that those addicted do not have any control over their addiction and need controlled environments and intensive therapy. Although this characterization may be true of some individuals, it is not necessarily the case for all. Many people have been to rehab after rehab over the course of several years, with repeated relapses. Do these people prove that those suffering addiction have no control, or could it be that those particular rehabs have proven ineffective? The truth is that this population proves neither side—only that overcoming an addiction isn’t automatic. It takes hard work, determination, and self-control, whether you do it by yourself or with the assistance of a rehab program. How Can You Quit and Stay Sober without Rehab? There is no blueprint for your journey to sobriety from drug abuse, but the first step for anyone who wishes to quit using drugs or alcohol is to consult your doctor. 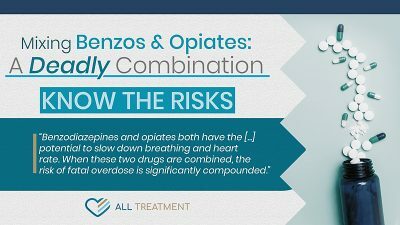 Although most drugs do not present the possibility for a life-threatening withdrawal process, alcohol and benzodiazepines are exceptions. Severe alcohol dependence and long-term benzodiazepine use often require medical assistance. Since alcohol withdrawal can become severe enough to cause delirium tremens and death, it is important to be honest with your doctor about your drinking habits, previous attempts to quit drinking, and any serious head injuries. Heavy and long-term benzodiazepine use usually requires a slow tapering down of the dosage until such time a safe and full withdrawal is possible. If you can safely withdraw from drugs and alcohol, there are a few things you should do to give yourself the best chances to stay sober. Being sure your doctor knows your plans, as does at least one other trusted person in your life. Finding a support group. There are many more than just 12-step programs, such as self-help groups like S.M.A.R.T. Recovery (Self-Management and Recovery Training) and S.O.S (Secular Organizations for Sobriety). Finding ways to hold yourself accountable through other people involved in your recovery or regular therapy sessions. Even if you don’t have medical insurance or money to pay out of pocket, catholic charities and sliding fee scales are available everywhere. Getting to know the outpatient programs near you. Even if you don’t need it now, you may encounter moments of weakness or uncertainty when a refresher course or a supportive group session could prevent a relapse or get you back on track if you relapse. For precautionary purposes, it is good to have a contingency plan. Your recovery is in your hands, whether you choose to enter rehab or not—it all comes down to how motivated you are for change. There are many sayings in the addiction treatment field, but one which appropriately captures the success or failure of the recovery process is The program only works if you work the program. Regardless of your program and the degree to which any part of rehab is involved, your determination and self-control will influence the outcome. While most would agree that quitting drugs and attempting to stay sober is not something you should do alone, you don’t necessarily need rehab to have sobriety. Whichever path you choose to achieve sobriety, it is never too late to seek help if you need it.